First spotted while trotting around Manek Chowk in Ahmedabad with Meanest Indian, I have come to discover that women across the country are making these beautiful woven charpoys (manja in Punjabi) or beds for their homes. These are often made from remnants or old sarees and dupattas, although some women also use new fabric. 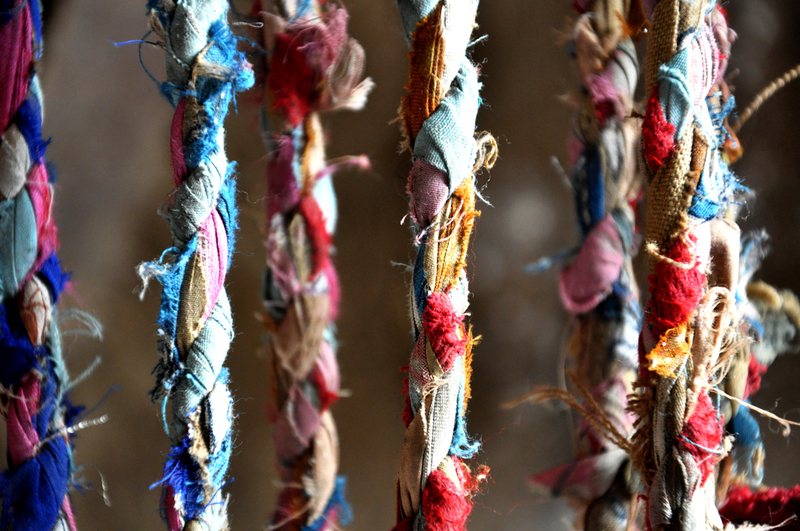 They braid the fabric into rope, which is eventually woven around a wooden (traditionally) or metal frame. 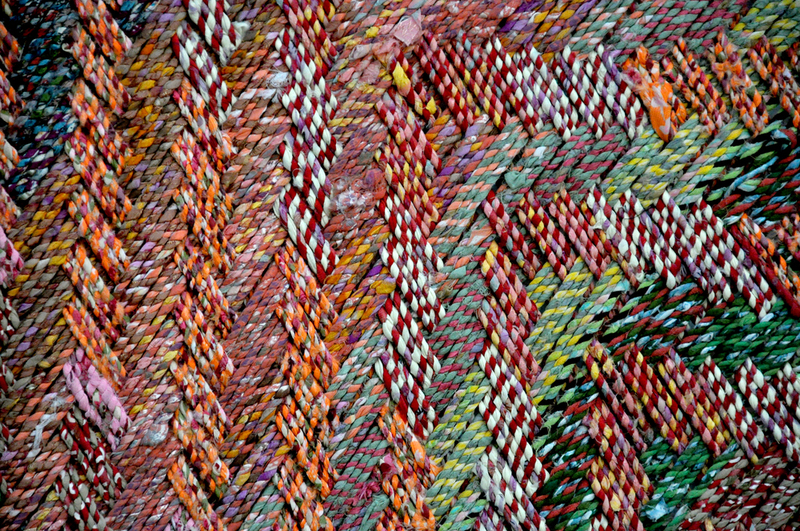 They are woven in many different weaves, details of some can be seen below. Unconventional material like shiny crisp packets or plastic bags are also used, as seen here. I came across some shiny charpoys in Delhi on a recent visit but unfortunately couldn't take any photos at the time. I will have to go back and find them again! The rope can be bought for Rs.50/kg and used to make charpoys or as fancy rope to hang laundry. Below are some of Basheera Aunty's masterpieces, she's lives and works in Baddowal, Ludhiana.